How Many Smart Adaptors Do I Need? Think of the Anyware Smart Adaptor as a multi-functional ‘room sensor’ that you can use in different ways depending on the room and your need. When you have more than one Anyware Smart Adaptor on the same location, they will work together when it comes to Home Monitoring and Security. Each Anyware Smart Adaptor will still provide you with the room-specific Smart Living function, though.If in doubt about your need, start with one (1) Anyware Smart Adaptors to monitor the Indoor Climate in the Kid's Room or remotely monitor your Vacation Home. We recommend at least three (3) Anyware Smart Adaptors for an effective and trustworthy home occupancy light (the Preventive Burglar Light Scene or Service) and broader intrusion detection based on sound (the Intrusion Detection Scene or Service). 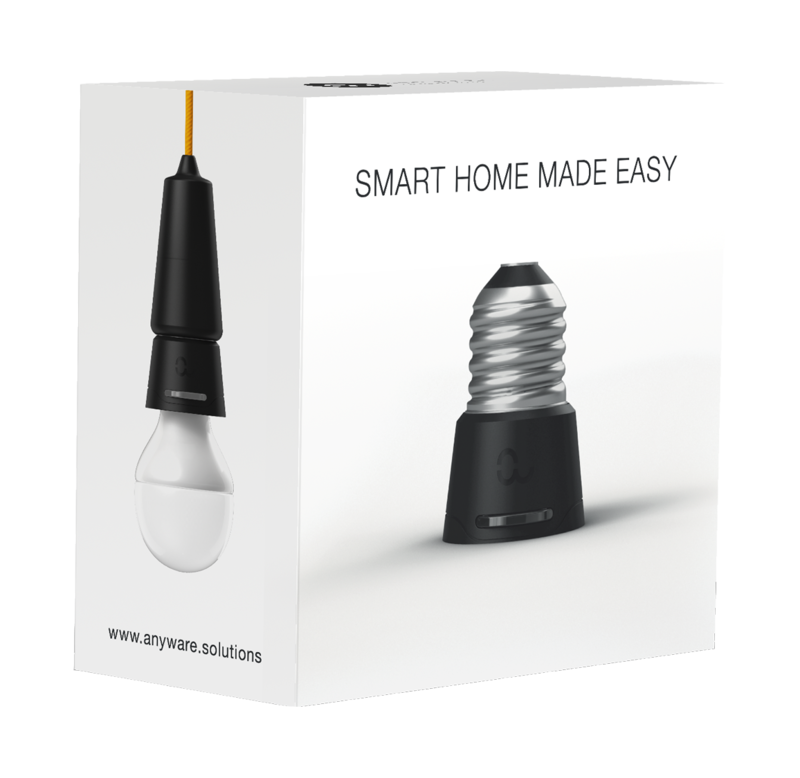 The Anyware Smart Adaptor™ is equipped with built-in sensors (temperature, humidity and sound), connects to your Home WiFi, features light dimming, notification services and Home/Away automaton. Anyware Services are small ‘applets’ or ‘Scenes’ in the app that allow you to adjust the app to suit exactly YOUR everyday routines and needs. They are available in the Anyware Services Catalogue™, and with the Change4Free™ subscription you can change your existing Scenes as your need changes as often and many times you want. The Scenes you have when the 1 month trial period comes to an end, will stay with you if you decide to not continue. You will be asked in the app after 30 days if you want to continue the Change4Free™ subscription including 1 Week Data in the graph for EUR 30 per year in total, thereby preserving the ability to change your Scenes freely and viewing 1 Week Data in the graph. If so, we will send you a payment link – we will not ask for your credit card details upfront.